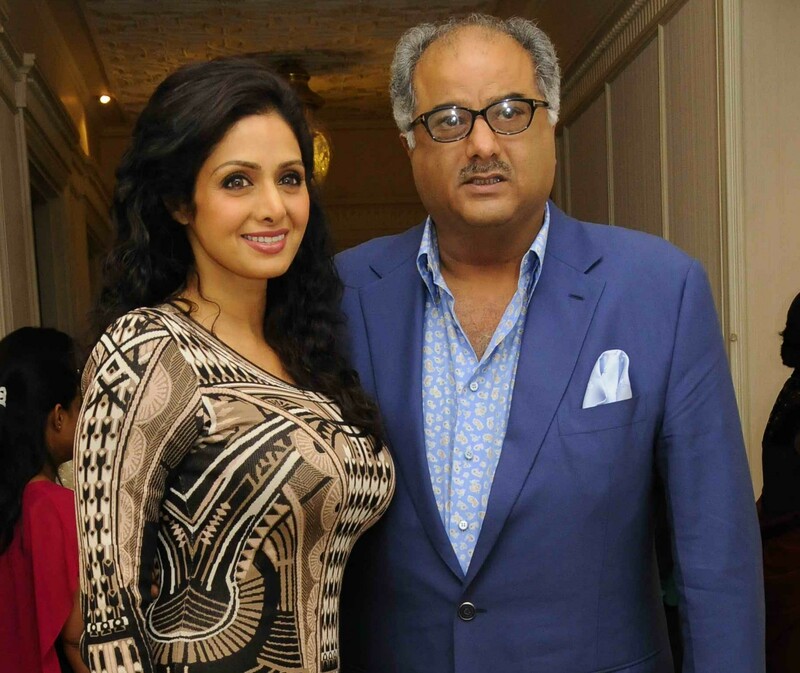 Sridevi with husband Boney Kapoor. Click on the picture to enlarge and see what we’re talking about! Okay, first things first. 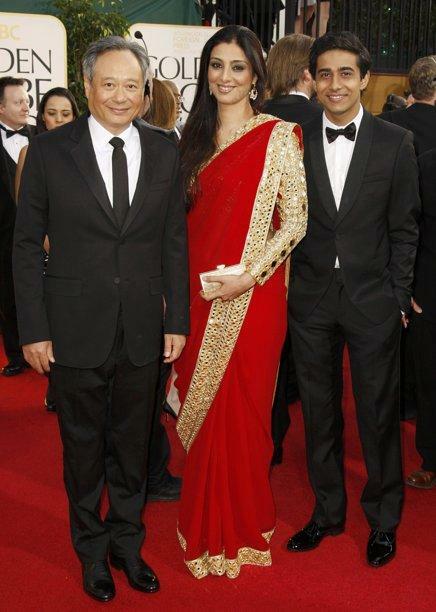 I’m a fan of Sridevi’s dress sense. She can carry off a short tube dress with the same elegance that she does a simple chiffon sari or a heavily emroidered anarkali. She just turned 50 and still refuses to get predictable in the wardrobe department. An innate dress sense is unarguably a quality that most can only hope to posses, but Sri has it in abundance. So, it’s surprising to see her turn up at designer duo Abu Jani – Sandeep Khosla’s “The Golden Peacock”, an evening of couture for the Sahachari Foundation at The Ball Room, Taj Mahal Palace Hotel, Mumbai. While there’s nothing wrong with the choice of dress, it’s the bulging bosom that has us staring/ wondering/ confused…? You gotta admit, it’s very unlike Sri, who always dresses to impress, not to attract unwanted attention. Sridevi and Boney Kapoor. Click on image to enlarge and get a better view. Actor Saif Ali Khan’s daughter Sara was clicked attending the wedding celebrations of her father with actor Kareena Kapoor. The young lady wore an Abu Jani-Sandeep Khosla mirror work chamak ghagra in pastel shades of light green and pink for the sangeet ceremony. And is it just us, or Sara looks like a replica of her mom, actor Amrita. Given how most Bollywood betas and betis are unimaginably plump before the acting bug hits them, we wouldn’t be surprised to see a slim and trim Sara all set to woo the camera in a few years from now.